The above statistics are important to every online business. Delay directly means a loss of sales, slow loading websites repel customers explicitly affecting the sales and profits. The point is, in this competing sphere there is little room for letting your competitors have an edge over you. To keep up with the pace of technical advancements, you need to consider using the best possible solution for hosting your site. Your site’s ultimate destination, dedicated server hosting. 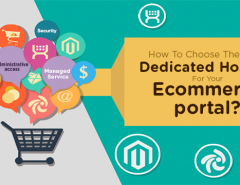 Unless you have the financial backing to roll out a full-fledged version of your site in one go, you start slow and steady. You choose shared hosting, test waters, gain traction and over a period grow. The registered growth results in ‘shared hosting’ becoming insufficient to meet your site’s increased traffic, transactions and the huge data which get created every minute. You want to scale up your backend support system and thus look for advanced options. The choice is between Virtual Private Server and Dedicated Server Hosting; broadly classifying. Once you select any one of the two available options, the choices narrow down to selecting the level of services and plans with service providers. Having said that, let’s just come back to the point of selecting the appropriate type of hosting. A VPS is a toned down version of a dedicated server hosting that tries to match it with minimum costs. In VPS, a physical server unit is partitioned to work like independent dedicated servers. The segregation is virtual, physically the server is the same. Users get better control of the server and try reap benefits of aping dedicated server hosting virtually. VPS are a boon for SME’s that lack the financial resources to incorporate a dedicated server hosting. You also get to choose from managed VPS hosting or unmanaged services. You may properly weigh in pros and cons of both the services and choose accordingly. 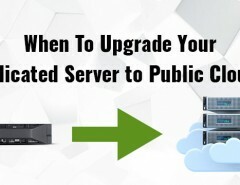 Dedicated server hosting is the answer to the challenges posed by increased system requirements. Needless to say, they come with extra costs. So with DSH, you get better uptime, further scalability, improved reliability, increased computational power, additional security layer and the flexibility to administer and monitor the server according to your need. It is the ultimate resort to meet all your possible requirements. Running this superlative hosting requires technical competencies, although they almost never crash when they do, it is hard work to bring them back. Either you hire an administrator to undertake the responsibility to keep the server running or learn networking and server management to manage it by yourself. Service providers offer all kinds of dedicated hosting services such as managed, semi-managed, unmanaged, etc. You can take your pick. It’s vital that you make a choice based on two important factors: latency and the costs involved. 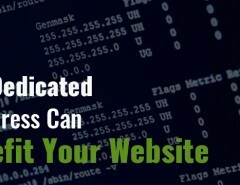 Be aware that there is a host of dedicated servers options that may promise but not deliver. Choose according to the SLAs and the kind of support services your hosting provider offers. 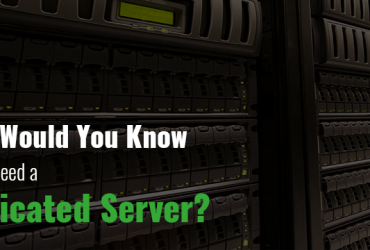 Previous Article How Would You Know if You Need a Dedicated Server?